Jordy Liz Blogs: My happy place. Each of us has a creative outlet, an outlet where we are everything we are meant to be when we are in the very moment of it. My husband's outlet is playing the drums. My sister's outlet is painting. My outlet is writing. I didn't really know I was a writer until I started blogging. 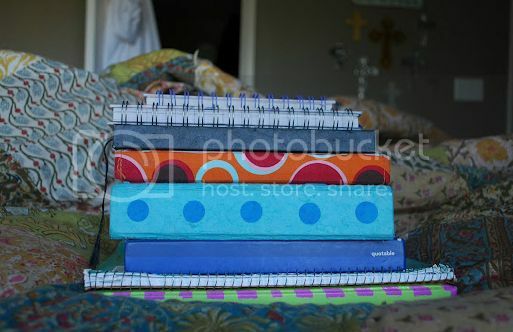 I had filled many journals since elementary school through the time I met my now-husband. I preferred writing letters to confess my heart's longings as opposed to saying it out loud. Words always came to me better when they were spoken with a pen. When I started sharing the story of how I met my now-husband on this blog as opposed to a place tucked away in between lined pages on a shelf, I opened up a brand new platform for myself. I could be honest and vulnerable here, too, and it was okay. I made friends through my writing. Friends from across the country whom I had yet to meet in person were opening up to me, sharing their stories and affirming the words I had placed on the screen. I looked forward to sharing more and more, allowing myself to be cultivated as a writer and encourager. And it made me happy. It makes me happy. I've made friends here that have turned into dinner dates. I've made friends here who have been the first to email me when something doesn't seem right. I've made friends here who text me to include me in their going-on's. Living in a place that still feels so new sometimes, seeking out friendships, I feel fortunate to have this corner. When I come here, I am me. And you are you. And we live and learn together. There's a vulnerability to hitting the publish button after letting your fingers strike the keys in a maddening fury. There is a doubt raised each time a new post splashes on the screen. But knowing who I am writing to, and the care and trust you place in me, makes me let it go and just write. I am grateful for the readers and platform and opportunities and constant source of encouragement and creativity this blog brings to me. I am grateful for you who decides to come by just to check in. Now onto the next post. Join other readers as they explore why blogging makes them happy and make sure to enter the Life Well Lived Sweepstakes courtesy of BlogHer! I just read your guest post on Jen's blog and I just wanted to tell you that Redeeming Love is an amazing book (as is The Hunger Games trilogy!) But on a serious note, I loved the book! Good luck with your summer goals, God Bless! I also just read through a lot of yours & your husband's story. You are such an inspiration to me! I love writing and reading as well... and collect a lot of books and journals that I don't have the time to read or write in, haha. You are a beautiful woman and I hope you're having a wonderful week! Too true - the vulnerability, the friendships, the "I am me. And you are you". Glad to have found a new place to visit. We seem to have a lot in common :) ...I completely agree with Ashleigh (the commenter above) - I'll be back for more! SO TRUE meeting people and making new friends. I have two fellow bloggers who have since moved on to Twitter buddies and Facebook friends. I hope some day to meet them in person as well. All thanks to blogging! Excellent post and so nice to meet a fellow Aggie!